Stories…. 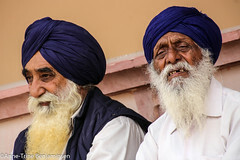 with a touch of India…. 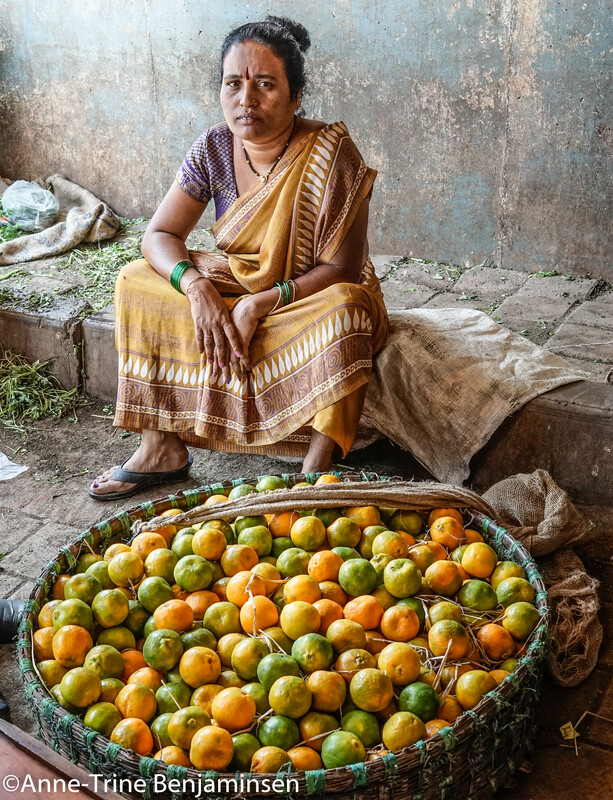 Very often, when I walk the streets of Indian markets with my camera, I see matching colours. The street vendors are dressed according to the goods they’re selling. Or… is it just a coincidence? 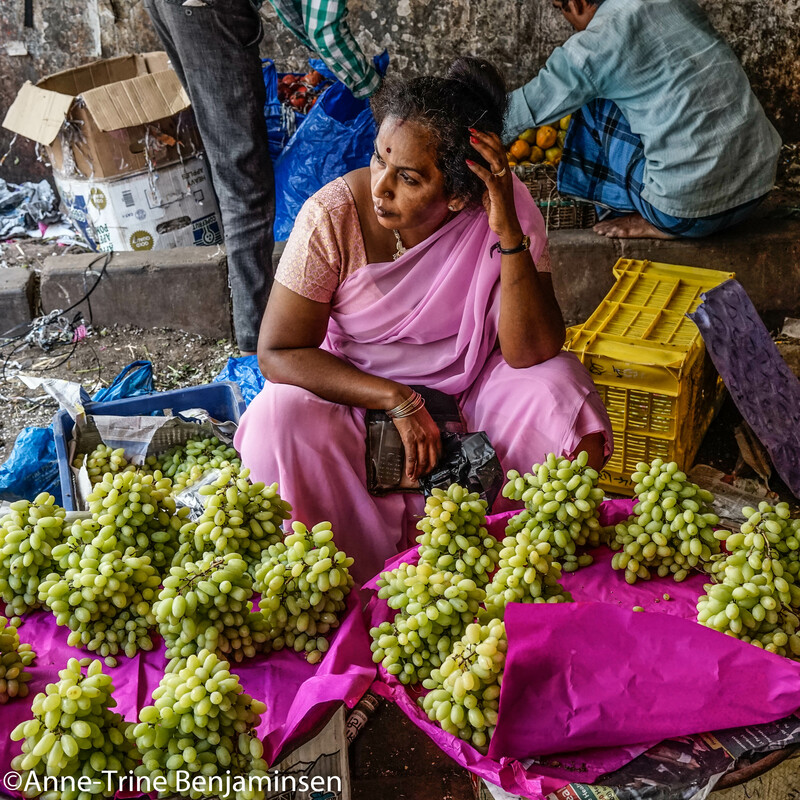 It might be, but sometimes not… I spotted a few matching colours at Dadar market, Mumbai. 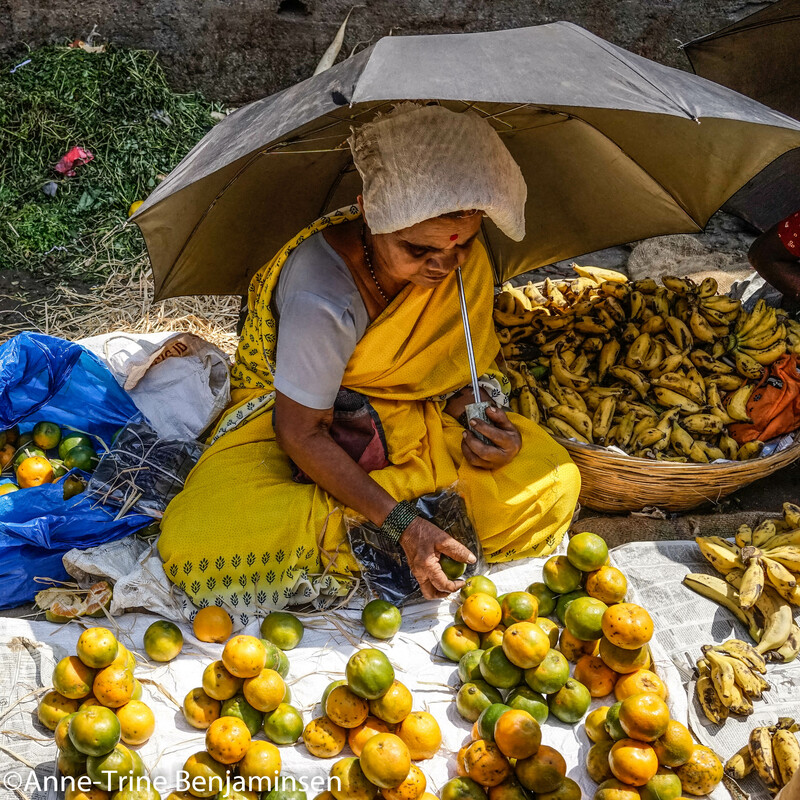 Above; a woman is selling yellow coloured fruits, dressed in a yellow sari. If her sari had been red, I might not have payed her any attention her… Now, she stood out in the crowd. 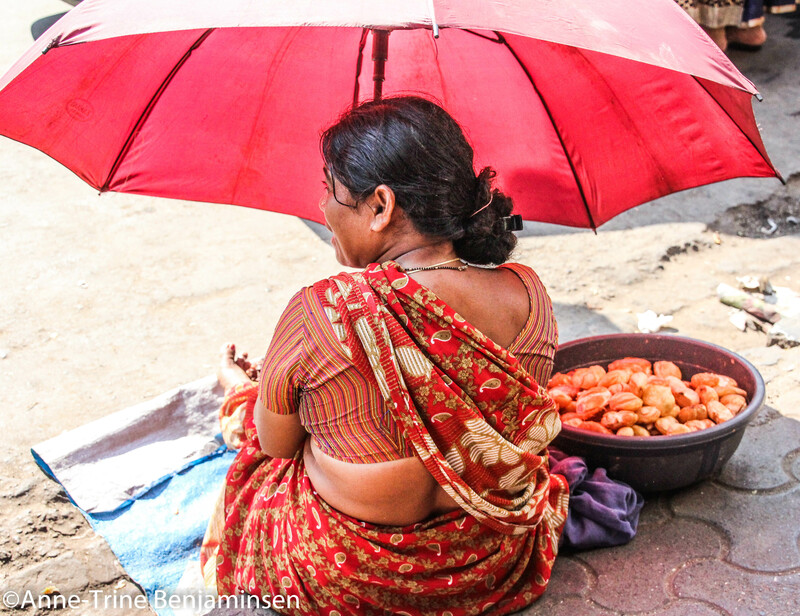 Below: Whatever she is selling, it matches her sari and umbrella. It was the reds that caught my attention. Below: Even her bangles goes with her goods! 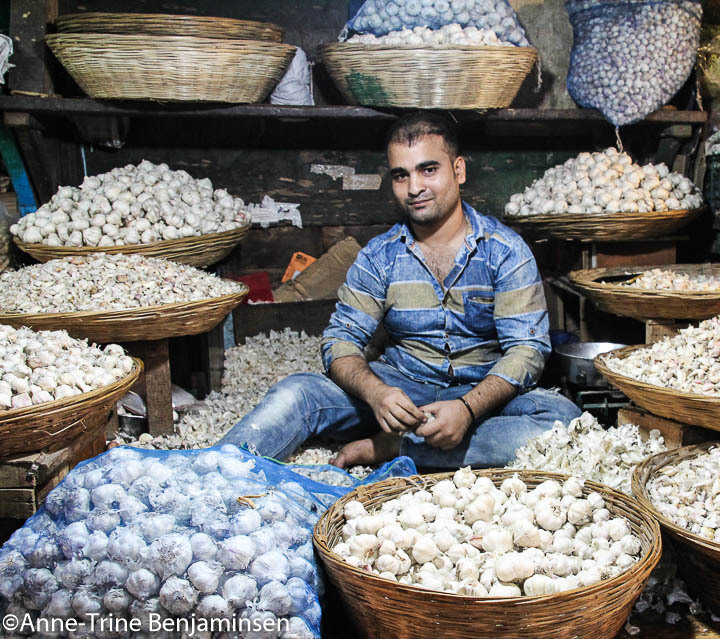 Thanks to http://www.zamorinofbombay.com/ who took me to Dadar!